This collection of short fiction begins with Sultana's Dream, published in 1905, and ends with A Small Sacrifice, published in 2005, covering a hundred years. Both the stories critique prevailing injustices of a male-dominated society, with the element of class added to the latter story. Roquiah Sakhawat Hossein and Syed Waliullah wrote in both Bangla and English as do Razia Khan, Munize M. Khasru, Dilruba Z. Ara, Maithilee Mitra, and K Anis Ahmed. 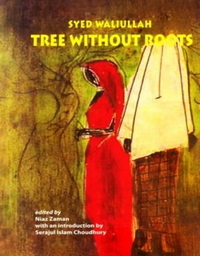 The other writers in this volume Mohammad Badrul Ahsan, Syed Badrul Ahsan, Shahid Alam, Raza Ali, Tulip Chowdhury, Towheed Feroze, Farah Ghuznavi, Khademul Islam, Syed Manzurul Islam, Razia Sultana Khan, Rubaiyat Khan, Nuzhat Amin Mannan, Shabnam Nadiya, Farhana Haque Rahman, Aali A. Rehman, Neeman Sobhan write mainly in English. While many of the stories are inspired by social and political concerns, many are also inspired by the relations between men and women as husbands and wives, lovers and mistresses, fathers and daughters. Others are about aging and dying, about childbirth, about 1971 and its heroes and villains, about the pain of being an expatriate. Many of the stories have been published earlier in newspapers and magazines; some of them are award-winning stories; others are being published for the first time. Taken together, the twenty-four stories of this volume showcase English writing from this region and reveal the timeless as well as changing face of the Bengal Delta.